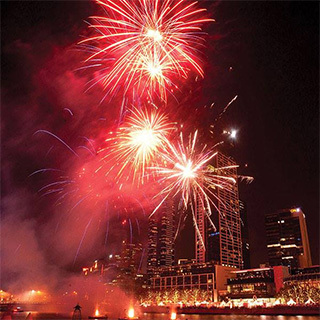 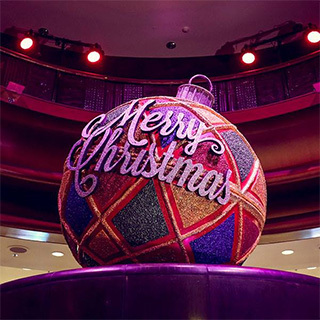 Experience CROWN Christmas in 360 through Facebook. 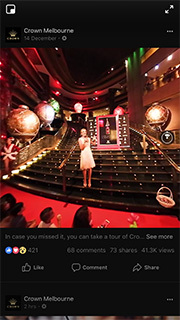 Over 41,000 views on Facebook! 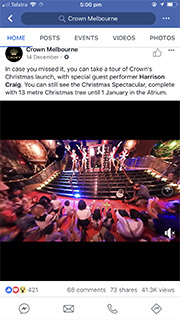 CROWN Christmas is an ionic event that we filmed in 360 for Facebook Canvas, bringing alive the CROWN Christmas lights and celebrity entertainment. 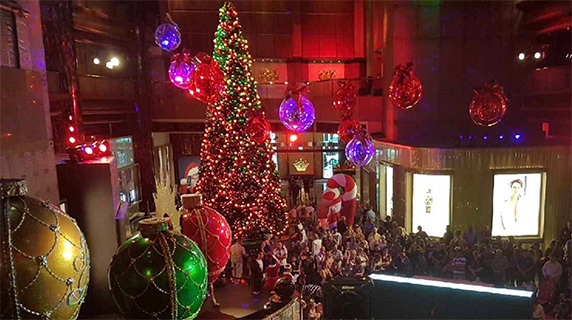 An immersive 360 experience that places the viewer in the center of CROWN's Christmas event.